Just as women can wear men's clothing, or clothing that a hundred years ago would have been men-only, they can also wear men's scents with impunity. I was out with a friend and her eighteen-year-old daughter a few nights ago, and after supper we went to a department store and (of course) ended up in the fragrance department. The daughter pointed out a bottle of Davidoff Cool Water and said she wears it and loves it. I said, "The men's version, or the women's?" and showed her the women's bottle, which is light-blue and curvaceous next to the stolid dark rectangle of the men's version. She was mildly appalled to discover that the scent she'd been wearing for a year or two, the one which friends both male and female had told her smells so much better than most women's scents, wasn't. Naturally, I reassured her that I wear lots of women's scents as well as men's, and that as long as it smells good on you (which obviously this did, on her), then it shouldn't matter what the bottle says. Having said that, though, the fact is that there are many scents that we think of as irreducibly feminine, and others--a much smaller set--that we think of as purely masculine. Next week, in fact, I'm covering a commercial fragrance that, I think, it would be just about impossible for a woman to carry off. There's nothing particularly male about the smell of leather: women wear lots of leather clothing, and there are a number of women's scents over the years based on leather: Guerlain's Jicky, Serge Lutens' Daim Blond, Piguet's Bandit, and Chanel's Cuir de Russie, for starters. But as a rule, leather scents are usually the province of men: there are far more leather fragrances for men, because there's something about that rough animal scent makes most people think of testosterone. 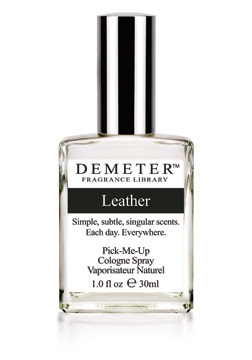 Demeter has several leather scents. I haven't tried all of them, but there's Russian Leather, supposedly a sweetish, aged leather smell like an old armchair; Riding Crop, which, I gather, is an outdoorsy, well-worn leather; and finally, just plain old Leather, which smells freshly tanned, like a new leather jacket. It's this third one which I own, and I can vouch for the fact that it smells exactly like new leather. Part of the reason, I expect, is that new leather is scented with a synthetic to make it smell the way people think it ought to smell. The scent of Leather is, just as you would expect, deep and animalic, with a brisk tannic top note followed by that intensely sexualized and familiar smell of black leather. 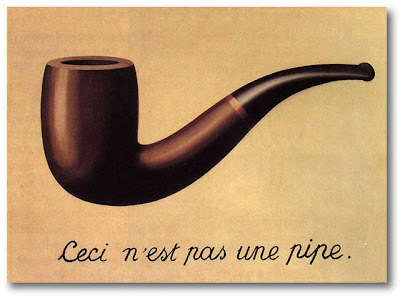 The wonderment of This Is Not A Pipe is that it doesn't smell like pipe smoke, or pipe tobacco: it smells like the bowl of a pipe, as if you'd stuck your nose in there and taken a big whiff. It's a distinctive smell, imbued with wood and tobacco but not smelling quite like either, with a roasted, not-quite-burnt edge to it. It's got a brightness to it, but it's still got that primal sense of fire and masculinity and hand-made things; there is a dark unsugary burnished sweetness about it. TINAP, wondrously and happily, smells precisely like what it's meant to smell like, and that is delightful. I've been wearing it for years, and that unexpected, curveball preciseness still tickles me every time I put it on. The two together smell, and there are no two ways about it, like a man. I'm guessing that Russian Leather plus TINAP would smell like a granddad, and Riding Crop plus TINAP would be a cowboy. Leather and TINAP ought to smell like a guy going through a midlife crisis (he's been smoking a pipe for a few years now, but he just bought a Camaro and a leather jacket), but it doesn't; alchemically, it just smells...it smells like a guy. It is a very appealing combination. Interesting... 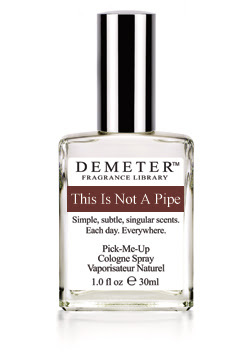 I am of two minds on this, since I love wearing fragrances meant for men, but I can see where there would be a point where it would stop being alluring and start being just not quite right. I was thinking the other day about feminine scents that I like and wondering if they would work on men, and what that would be like. Chanel Allure Sensuelle was the one I had in mind, if I recall correctly. I can't wait to see what you review next week, and perversely enough, I will no doubt feel like I have to try it!